When I first saw the name "Pouchee", I immediately thought of the "fanny pack of pudding" that Shauna Niequist writes about in Cold Tangerines - you know, the one you wear around your waist post-baby. However, this Pouchee is about the BEST thing ever! No squishy midriff involved. My purse used to be a big ol' mess. I could never find my wallet. Or sunglasses. Or cell phone. And, my ringtone of "Girls Just Wanna Have Fun" would blare in its entirety before I ever found it. (Should I tell you the story of the time it started ringing during an OB checkup - at the worst of times? And my male, 40-something doctor just HAD to comment.) Hmm...I'll think about it. Anyway, the things I needed were always buried in the deep abyss of diapers and wipes and old receipts and baby food and leftover McDonald's Chocolate Chip Cookie bags. Then, I found the Pouchee. It is a small (7.5" x 5") purse organizer/wallet/cell phone holder thingy that is almost as great as the knock-off Coach purse my friend, Lynn, brought me from Korea. Almost. It holds all of the "important" stuff in your purse. 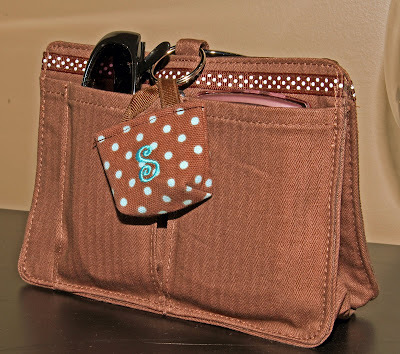 There are pockets for credit cards, a cell phone (even a pocket big enough for a Blackberry - for my fellow Crackberry friends), sunglasses, keys, lipstick, etc. 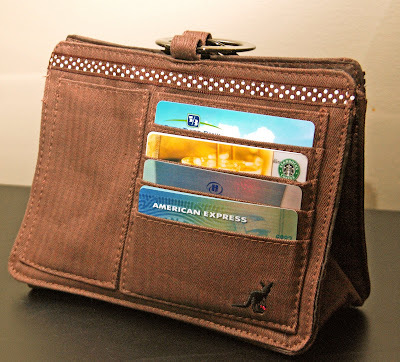 Inside are dividers that you can use to separate coupons, a checkbook, change purse, old receipts - anything you want to keep easily accessible. 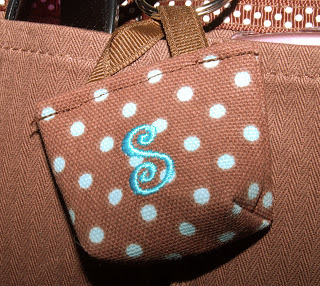 If you decide to change purses periodically, grab your Pouchee and slip it into your new purse. Done. The colors and styles are adorable. And, I couldn't resist the little stand of personalized keychains hanging next to them. You can see all of the styles and colors available at pouchee.com. I think it would make a FABULOUS and unique Christmas gift! Oh, Sarah... LOL at the Starbucks card placed in such a prominent position. That's cute. So do you put that in your purse, or is that the purse? very cute and i think i would use it if i carried a purse big enough for it to fit inside. i'll have to see if any stores around here carry it so i can see exactly how big/small it is. thanks for sharing. Cute idea! So, when do we get to see a picture of you with your ubber-cute Coach purse? Did you read my post a few months ago about the contents of my purse? 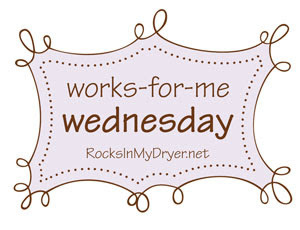 What a great find, I think that is far superior to my current purse! I so NEED this! I have been losing things in my purse like crazy. Thanks for this tip! Now I'm wondering - did you buy this online or did you find it somewhere around here? You described this perfectly. I may have to slyly drop this post in Dave's inbox. He doesn't like hints (he always wants everything to be a complete surprise), but sometimes the menfolk need a little nudge for something THAT cute. LOL. oh sarah i love it! i purchased a purse organizer about a year and a half ago from the con.tain.er store. i like it but when i use my purse with the toggle clasp things fall out of it. this would be perfect. it is definitely going on my christmas list or maybe i will use my "blow money" on it. thanks for sharing. I've never come across this product-thanks for sharing! 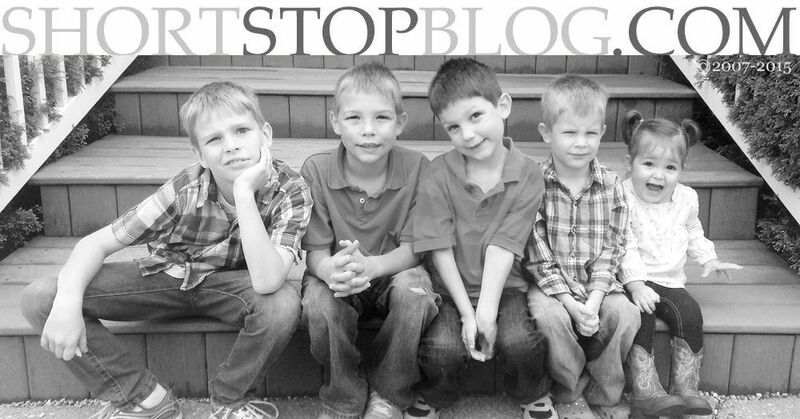 Neat blog, by the way.